Why the world would end without beauty products? From the day we are old enough to recognize ourselves in the mirror, we are concerned about our looks. Five years old girl want to dress up like snow white and a pre teenage boy want to have a hair cut like his role model. Why? Because the media, promotions have hypnotized not only our brains but our child’s brain too. We believe that beauty products are our synonyms. Newsstands in all countries are cluttered with magazines, targeting people of different ages, gender, and sexual preference, counselling their readers on methods to improve their looks. A typical example is the cover page of a lifestyle magazine for women offering advice on “Glow this season with these beauty hacks.” One of its counterparts advertise and counsels men on how to “Get fairer and handsome in five easy steps”. 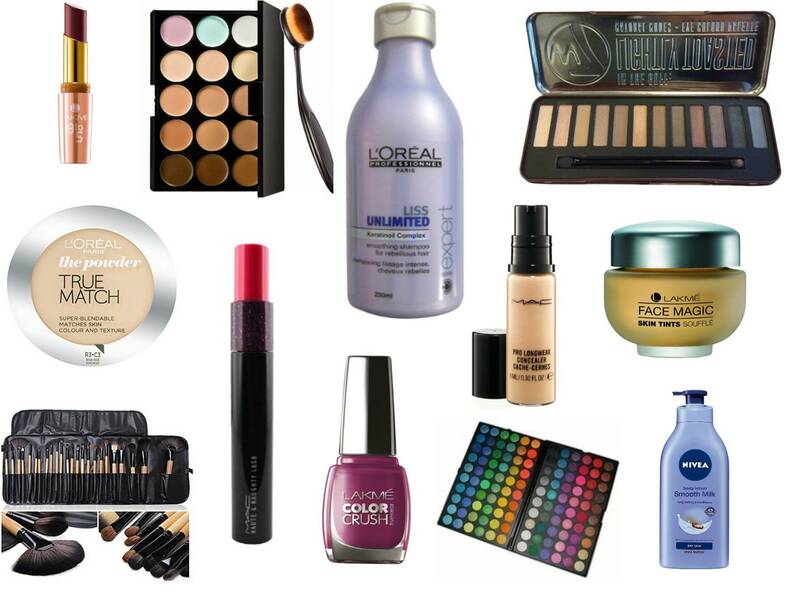 Beauty products play a very important role in any man / woman life. To look beautiful and attractive, a woman adorns various kinds of cosmetics. They wear different makeup in different situations believing these products enhance their looks, self image and boost confidence level. Women also believe makeup lays their social impression. Women with makeup in corporate are considered to be healthier and suitable for better profiles than women without makeup. Looking at this, it is no wonder why will somebody miss out to beautify himself/herself. Studies have forecasted the beauty product market of US alone will be around 60 billion dollars in 2016. Surveys have proved that one women on an average spends $15,000 (INR 10, 00,000 – INR 11, 00,000/-) on beauty products in her life time. 4 out of every 5 women, of age group between 16 -65 years, wears make up every day. Not only this, average man/women spends more than 20 -40 minutes per day on makeup, grooming and styling themselves. Looking at these statistics, now imagine what would happen to the market and more over to our generation without these beauty products. We people are so much addicted to these beauty products, clothes, perfumes etc, that without them, we will have existential crisis. I myself don’t use a lot of cosmetics but the beauty industry is definitely a big money-making machine! The economy of some countries would suffer enormously if beauty products ceased to exist. Being male, there are few products I use, but I understand the reasoning behind the industry. Believe me when I say that men are the main reason that women spend so much on beauty products, and it does not go unnoticed. A good thought and nice observation. Very good insights. But to be honest, I can’t imagine a place with no beauty. It will be so depressing . These statistics are so interesting! I love how you put it — I personally don’t wear much make up and am not one to collect it or buy things I don’t need. The amount people spend is insane! I think the world would recover 😉 hopefully! I completely agree with this one. I put makeup but that is just when I shoot. Apart from this, I like to stay put in the natural way. Glad to know about the statistics and those numbers are quite intriguing! Personally, I don’t apply makeup unless if there’s something very special!